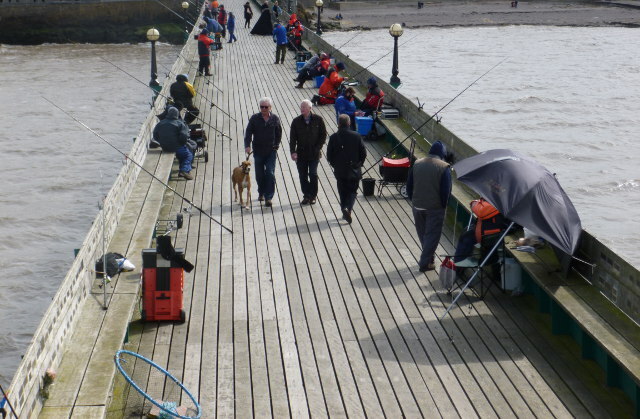 I spotted these people fishing the day away on a recent visit to Clevedon, near Bristol. I’m always intrigued by the satisfaction fisher folk seem to gain from the quietness and the water and skies they gaze into. Part of me wonders if the catch is secondary – just the excuse. What do you think these people are really up to? What are their aims for the day, opposed to what they tell their families? Are they really competing to catch the biggest fish? And, even more intriguing, is that actually a hula hoop in the lower lefthand corner? Write a story puzzling it out. If you turn this into a short story, or know the real answers to these questions, I’d love to know. Just send an email to Judy(at)socket creative.com. You could see your words published on SkyLightRain.com. This entry was posted in Writing prompts and tagged ideas for writers, story ideas, writing inspiration by Judy. Bookmark the permalink.